Over the world, the poor and orphaned number in the increasing millions, despite all the wonderful work that organisations like World Vision, Red Cross/Crescent, UNICEF, and others, do. There were 43,000 new millionaires in Australia alone over the past year, and the fact is that monies/currencies in circulation are finite. There is only a certain amount of it, and while the rich and their wealth increase, the poor of the world continue to multiply, rather than decrease in number! Monies poured into non-human charities, and into private organizations doing research which universities ought to be handling, the thoughtless hedonism of many obesely wealthy people and organizations, and into unnecessary wars and military arms, etcetera, etcetera, all deplete from the limited treasury that should be making helping the starving poor its priority. However, these are beyond most of our means. 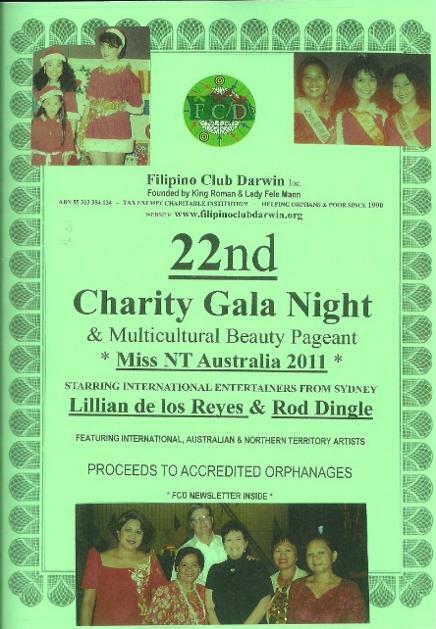 For 23 years, in its own small way, King Roman's charity Filipino Club Darwin Inc. (FCD) has been doing its bit to assist orphans and poor in the Philippines and elsewhere, obtaining its funding through successful annual Super Gala Nights and distributing the funding through the Commission on Filipinos Overseas in the Philippines. 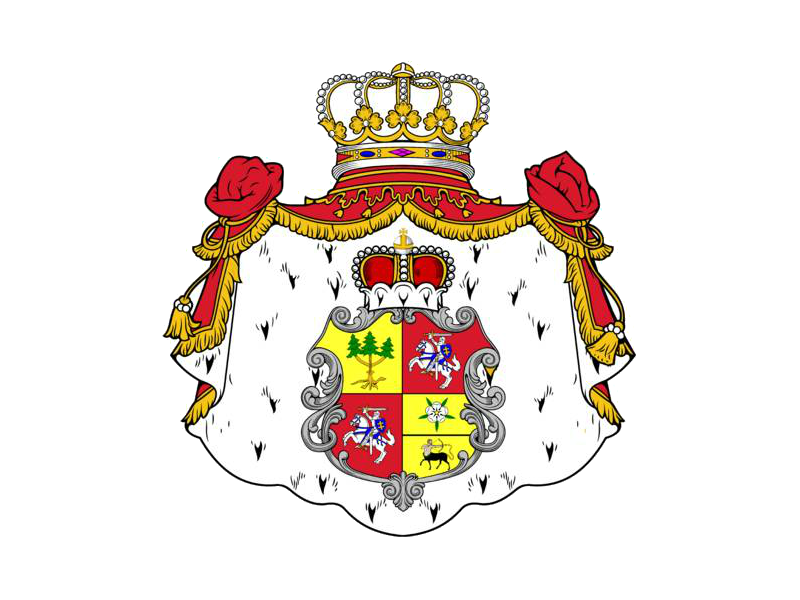 Former donors include His Serene Highness Prince Albert II of Monaco, martial arts icon Jackie Chan, beautiful superstar Anne Hathaway, and good wishes from the British Royals, the late Pope John Paul II, and former Australian Prime Minister Kevin Rudd. In addition, King Roman has successfully assisted Filipino asylum seekers through every court in Australia, preventing deportations, and attracting the active ire of government authorities for doing so. FCD has done other good works for the oppressed also, but all its work for the orphans and poor has deteriorated because it has run out of funds because the driving force for most of the 23 years, namely the annually elected president Lady Fele Mann, has been stricken with cancer and can no longer endure the stresses which the organization of annual functions entails. You can donate securely below to help orphans and poor using PayPal Donate above, or send your contribution or legacy to Filipino Club Darwin Inc., PO Box 42331, Casuarina NT 0811, Australia. All donations are welcome and God/Allah will no doubt bless you for your kindness/generousity. Slavery was abolished in the 19th century. And yet there are now three times as many slaves in the world. Around 30 million! Less than one per cent of the world's population holds the bulk of the world's wealth. Some of these lucky ones give amounts to animal welfare, or to providing computers to schools, etc. However, at the same time there are many millions of people, including children, living in poverty, and dying from starvation and from preventable diseases. Are these not more important? In fact, it is this inequality that encourages crime and unrest in the world. The rich die, and leave their wealth to be squandered by their children on jewellry and art and other extravagant indulgences. 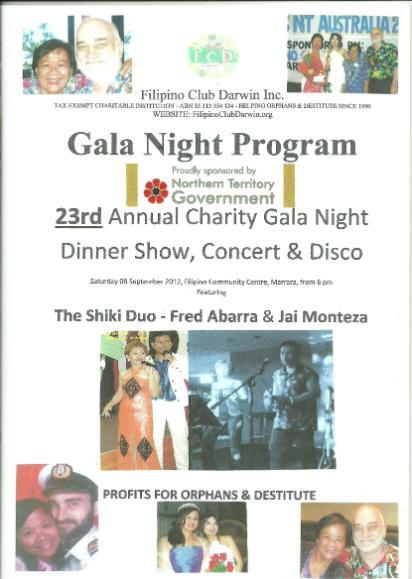 For 24 years, Filipino Club Darwin, under the presidency of Fele Mann, has helped orphans and poor. See FCD Gala Night program examples below. If we want to have a more happy and peaceful world, surely our priorities must be shifted in this direction?